Among the palm fronds ladybugs, butterflies, and dragonflies flit about taking care of the duties of their busy lives. Let this tarot bag remind you each day of all that you can accomplish with focus and dedication in your own life. 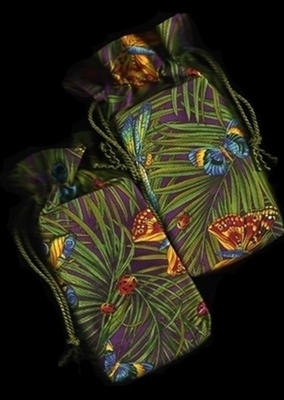 Photo Note: Two bags are shown in the picture so that you may see more of the fabric. When you click the Buy Now button, you are buying one bag. 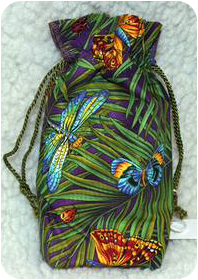 The placement of the insects will vary on each of the bags we make. All will have ladybugs, dragonflies, and butterflies on them.